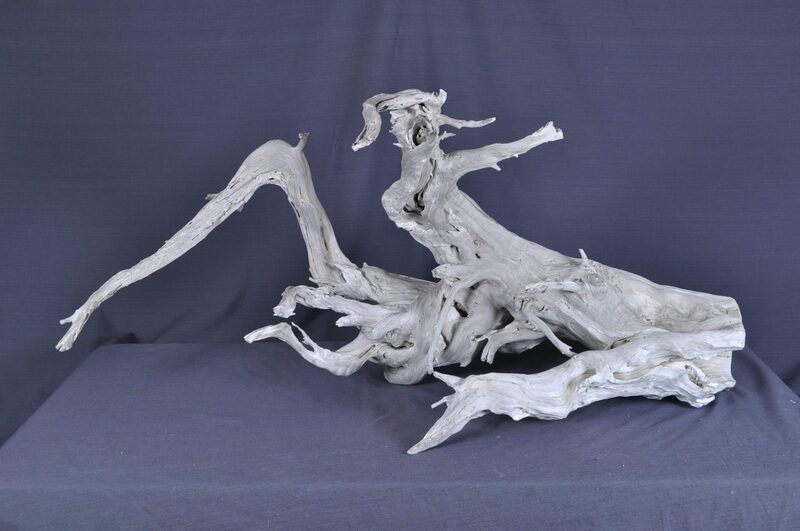 Driftwood for sale or rent…….. 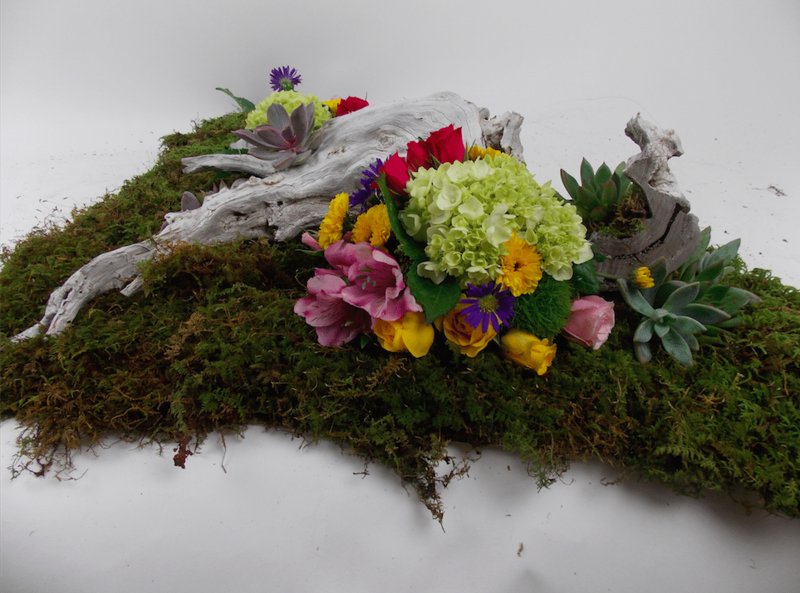 Occasionally I’ll have someone stop into my store & want to purchase individual pieces of driftwood for a certain occasion such as weddings, convention, etc. 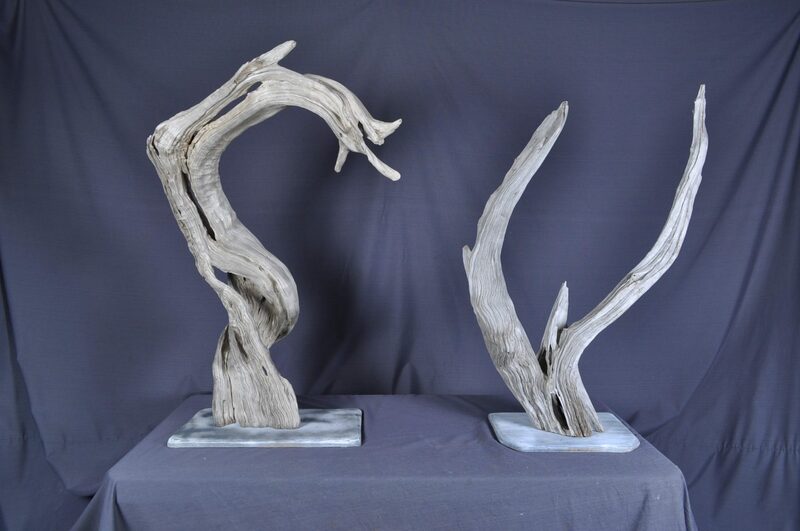 Although I do have a small section of driftwood that I sell as is, most of the wood in my yard is used for my furniture & not sold individually. Needless to say, that when someone sees all my special wood & cannot buy it, they are disappointed. 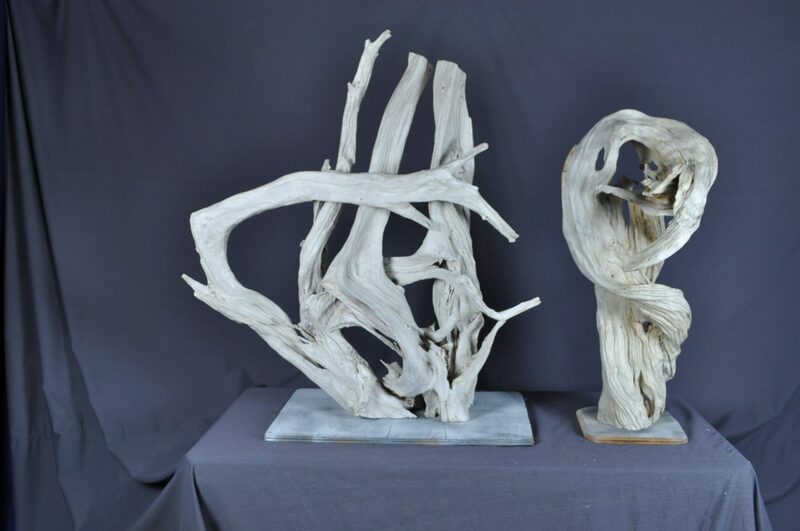 Not wanting to see anyone unhappy, especially brides to be, I’ve started renting pieces of driftwood from my whole collection. That way, they can choose from a larger selection & I can get the wood back to use for my furniture. 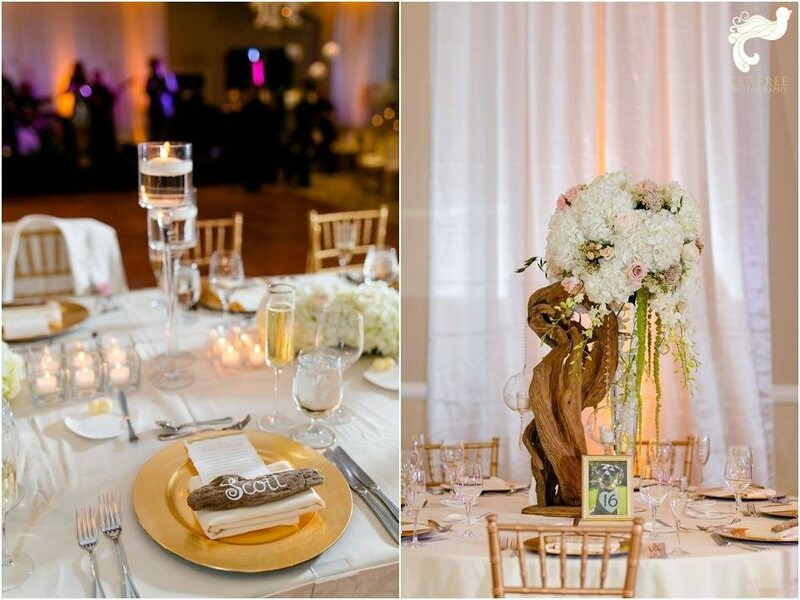 The pieces above were rented to a designer for an event at the convention center. 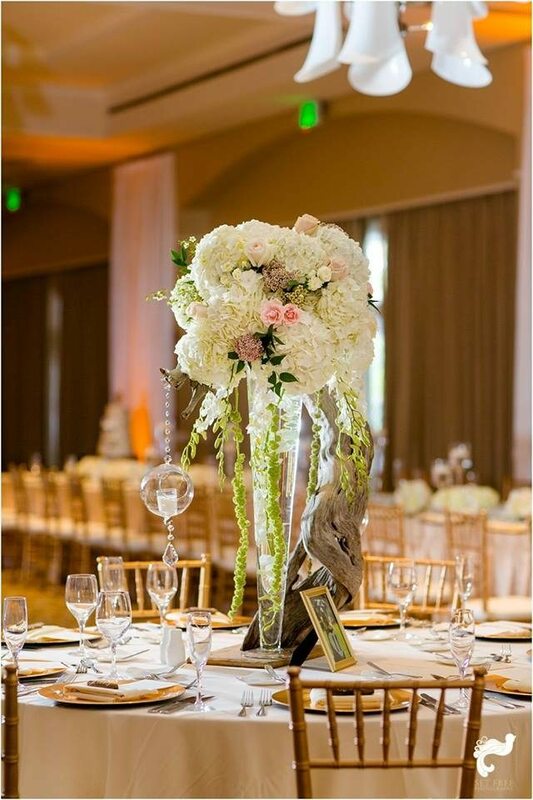 These were for Erica & Scott’s wedding for a coastal theme. 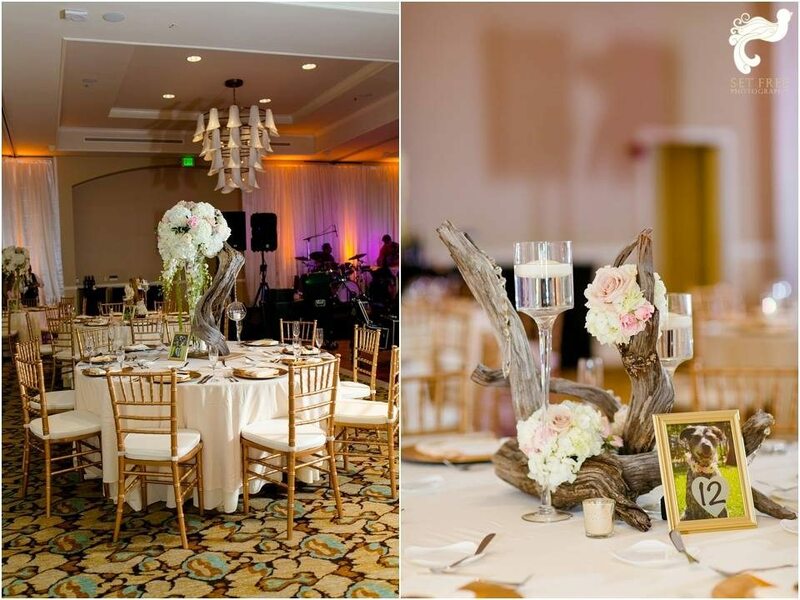 Erica is a local news reporter & a friend of my daughter-in law, so I gave her a “boatload” of wood that she could place throughout the venue. 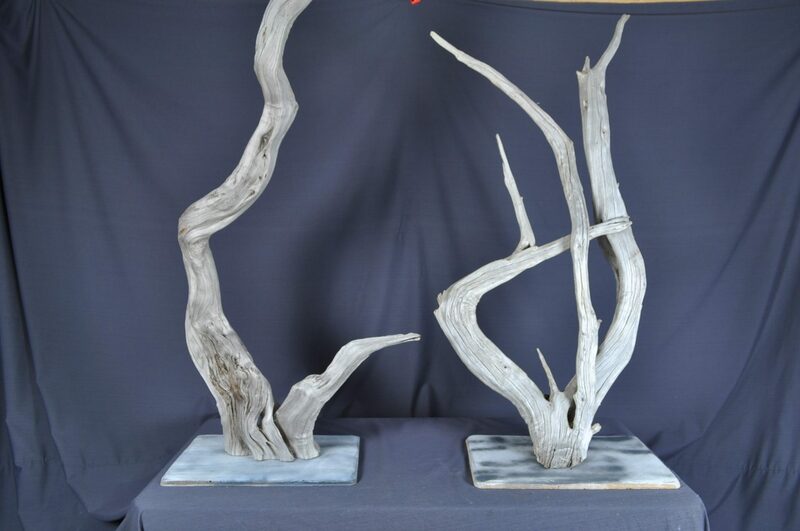 Now even though these were very unique pieces, they weren’t the beautiful silver gray color that make up my sun bleached driftwood tables & lamps. 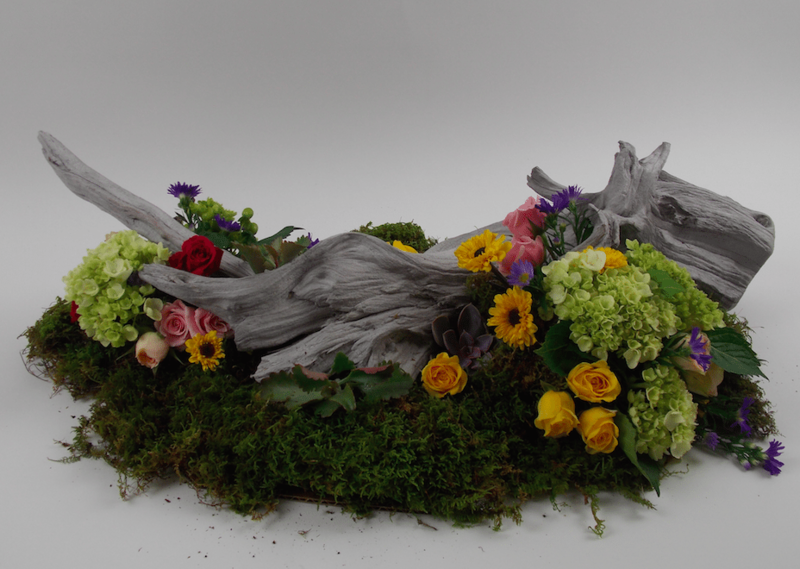 I decided that if if this wood was going to be used for such special occasions, I wanted it to be all uniform in color & look like the driftwood that one would find lying on some tropical beach. Plus, I had the extra incentive after being asked to supply some driftwood for a special & personal wedding coming up next month. Lauren is the sister of Alexis, my daughter-in-law, & she & Marshall are getting married on Amelia Island in NE Florida. So all summer I’ve been picking out the nicest pieces, sandblasting them & then placing them all over the roof of my store to weather. 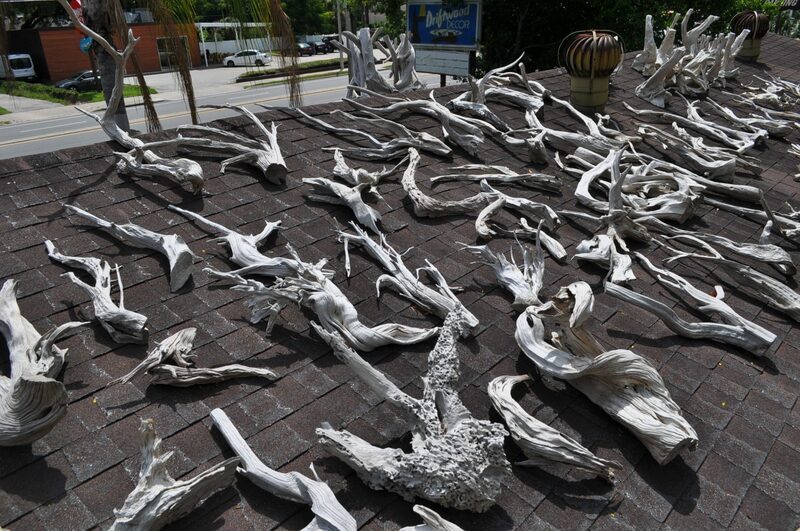 Well, the driftwood is now ready & in a few weeks, I’ll be loading up my van & Nikki & I will be driving up the coast to be a small part of this special occasion. When we get back, I’ll have another blog displaying how Lauren & Alexis used the wood on the tables & wherever else they plan to place them. 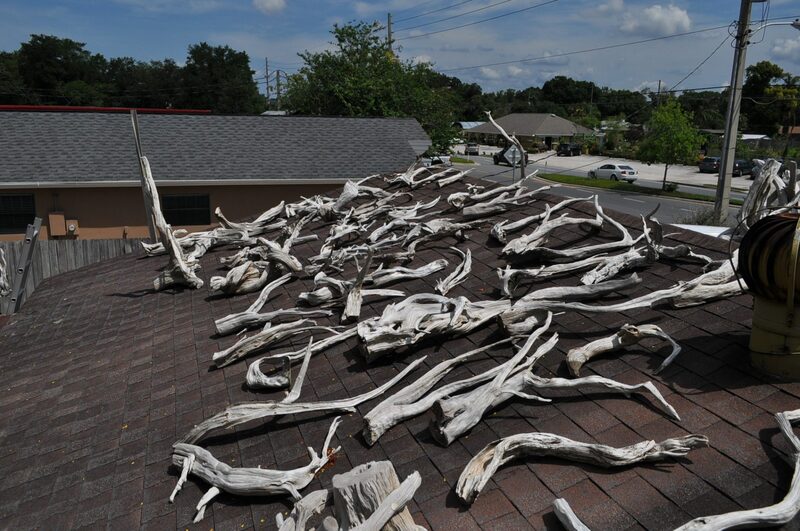 The renting of the driftwood is not something I plan to promote & only for local uses, but it’s nice to have some of this beautiful Florida driftwood on hand when someone needs it.